Affordable Rooter offers affordable drain cleaning and sewer repair. We clear clogged drains, clogged sewer lines, detect and fix leaks, clear sewage backups, install and repair sump pumps, perform sewer main line repairs in Somerset county in New Jersey. Affordable Rooter LLC of Gillette, NJ provides fast, emergency service 7 days a week. There are no extra charges for night and weekend work. 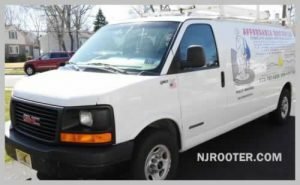 Unlike with larger companies, the owner and operator of Affordable Rooter of NJ responds to every service call. If you feel more comfortable with a familiar face who is courteous, polite and highly experienced (over 17 years), please give us a call. Get a free estimate for our affordable drain cleaning, sewer cleaning and trenchless sewer line repair in NJ. Here is an overview of Affordable Rooter’s services. Please call for information. This is not a complete list. We look into your sewer lines to locate any problems using our in-line cameras. TV pipe inspection, also known as video camera inspection, can eliminate digging and save money. We use hydro jetting (high pressure water jetting) equipment to clear drain clogs and sewer clogs and clean pipe. Trenchless sewer repair is a sewer line repair method that can eliminate digging on your property. This usually results in lower cost and faster completion of the repairs. We install, repair or replace all plumbing fixtures and pipes including kitchen faucets, bathroom faucets and toilets. We clear clogged drains in kitchens, bathrooms and basements. We are affordable drain cleaning specialists serving Gillette and several NJ counties. We quickly respond to flooded basement emergencies in NJ. We pump out water or sewage from basements. We also install and replace sump pumps. "I needed an internal outflow pipe from kitchen and laundry room slop sink cleared and external drain cleared. Affordable did a great job. They looked at both pipes, explained what had to be done, and did it effectively and cleanly."